Crews are on the scene of a Monday afternoon crash with injuries in the Joppa area. 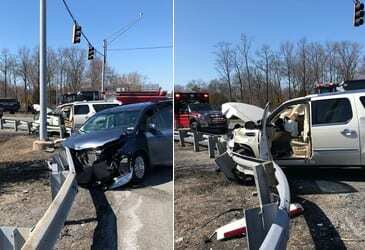 At just after 2:30 p.m., paramedics with the Joppa-Magnolia Volunteer Fire Company responded to an accident along Mountain Road (MD-152) at Interstate 95. Two ambulances have been called to evaluate four patients, all with reportedly minor injuries.